Speed of Arrival: Have You Seen? 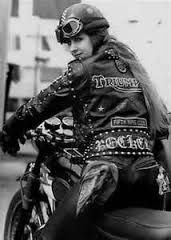 "The motorcycle black Madonna two-wheeled gypsy queen..."
I have nothing to say today except, if you should find her, let this sparrow know. Thanks.